Welcome to MindEscapes’ stunning escape room experience, where we strive to challenge you with our mind-bending puzzles! Our team of designers and game masters have created a selection of rooms perfect for everyone that is sure to keep you guessing. So add some excitement to your vacation with some fun-filled entertainment sure to keep the whole family on their toes! Reservation required. Reservation must be booked through Xplorie. Noncumulative and nontransferable. Unused admissions expire daily. Must present Xplorie card and photo ID to redeem. Guests under 16 years old must have a parental consent form filled out for them to participate. If your party contains less than 8 people, then you may be placed with others. Arrive at least 15 minutes before your scheduled game time. While investigating a case, Sherlock Holmes, the greatest detective of all time, has gone missing. Scotland Yard cannot find Dr. Watson and Sherlock always leaves clues for him while working on a case! You have to find the clues and report back to Scotland Yard in an hour. While hiking through the hills of North Georgia Mountains, you get lost and come across an old man named Tiller Kuffman sitting on the front porch of his cabin. He invites you in for a drink and convinces you to stay and rest while he leaves for a bit. Not long after, you realize you’ve been locked in the cabin. You have one hour to escape before old Tiller returns! Come and check out the heart pounding, adrenaline pumping action at Alpine Fun Factory. The Extreme Speed Dominator Go-Karts are the fastest in Helen and the slick track is unrivalled by any other. No reservation required. Noncumulative and nontransferable. Unused admissions expire daily. Must present Xplorie card and photo ID to redeem. All go-kart drivers must be at least 58 inches tall. Must be 16 years old to drive Dominator or double kart. 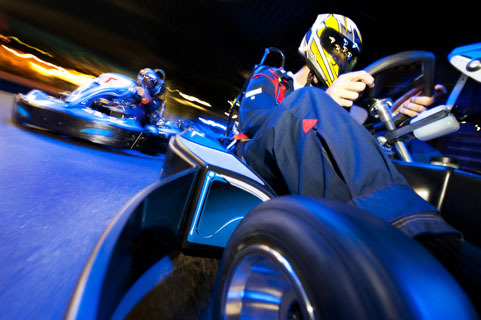 Go-kart races are 8 minutes (approximately 40 laps). Experience the Call of Duty Black Ops style Extreme Laser Tag! Become fully immersed in the arena featuring incredible sound, lighting, and realism. No reservation required. Noncumulative and nontransferable. Unused admissions expire daily. Must present Xplorie card and photo ID to redeem. Laser tag uses lightweight bandoleers instead of bulky vests, headbands allow for headshots and all equipment are wireless. All guests must complete waiver. Play-A-Round of Miniature Golf! Located at the south end of Helen on Main Street, you will see the beautiful 18-hole Helen Alpine Mini Golf Course. We’re kid friendly, family friendly, and even pet-friendly! No reservation required. Noncumulative and nontransferable. Unused admissions expire daily. Must present Xplorie card and photo ID to redeem. Open daily March to November. Open weekends December, January, February as weather permits, from 10 am to 10 pm. Shirt and shoes required. Show Xplorie card and receive 10% discount at Scoops de Scoop ice cream parlor for all guests. Sunburst has a variety of themed zip lines hung through the trees totalling 7,000 feet and counting! Over ponds, through caves, at great heights, wowing lengths, and even with surprising twists, our zip lines have something the whole family can enjoy! Reservation required. Reservations must be booked through Xplorie. Noncumulative and nontransferable. Unused admissions expire daily. Must present Xplorie card and photo ID to redeem. Two-hour tours depart daily at 10 am1 pm and 3 pm. Suitable for those weighing at least 20 lbs and up to 250 lbs. No experience necessary. Tally-Ho Wagon Tour available for guests wanting to stay grounded. This is a three level, twenty-seven element ropes course that offers your body and soul the opportunity to become the Bear in this rite of passage! Each level has nine elements designed to keep you thinking and moving. Work through each obstacle to make your way to the top while our experienced guides supervise from the sidelines. Reservation required. Reservation must be booked through Xplorie. Noncumulative and nontransferable. Unused admissions expire daily. Must present Xplorie card and photo ID to redeem. Tour length approximately one hour. Closed-toe shoes are required. Please dress comfortably for wearing a full body harness. Minimum weight is 40lbs and maximum weight is 250 lbs. Guests must be at least eight years old. The Moonshine Canopy Zip Line Tour allows you to zip across a series of lines in the trees with our certified guides. All of our platforms are tree based. This tour includes a series of zip lines through the forest starting low and slow then gradually building up. Highest platform is 70 feet. Come to enjoy an exciting outdoor adventure with us and get your vacation started today! Reservation required. Reservation must be booked through Xplorie. Noncumulative and nontransferable. Unused admissions expire daily. Must present Xplorie card and photo ID to redeem. Tour length: 1 to 1.5 hours. Closed-toe shoes are required. Please dress comfortably for wearing a full body harness. Children must be 5 to 17 years of age. Minimum weight is 40lbs and maximum weight is 250lbs. Strike it Rich in Helen, Georgia! Try your luck with our Georgia Gemstone Buckets with rare earth gems, such as rubies, sapphires, and emeralds! All of our panning tables are covered and we are open rain or shine. No reservation required. Noncumulative and nontransferable. Unused admissions expire daily. Must present Xplorie card and photo ID to redeem. Fun for all ages! Get Ready To Raft On March – October! Incredible scenery, interspersed with stretches of top-notch whitewater, will highlight this generally relaxing float trip with Southeastern Expeditions. 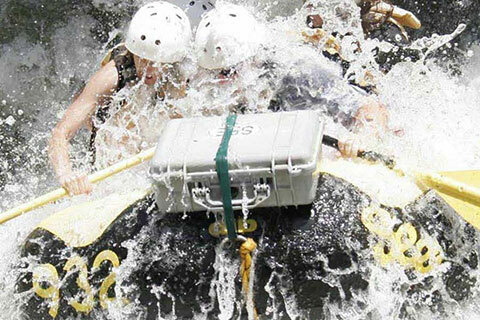 Chattooga River Rafting on Section III is a perfect fit for someone who wants to experience the exhilaration of Chattooga whitewater rafting with plenty of time for soaking in remarkable surroundings as well. Reservation required. Reservation must full through Xplorie. Noncumulative and nontransferable. Unused admissions expire daily. Must present Xplorie card and photo ID to redeem. For adults and children ages 10 and up. Rafting trip lasts 6 hours and includes a riverside lunch. Participants must be physically able to do some light hiking and 6 hours of paddling. All rafters must sign a waiver. Recommended Attire: swimsuit/nylon shorts, shoes that can get wet, and hat. Bring a towel, sunscreen, water, and change of clothes. 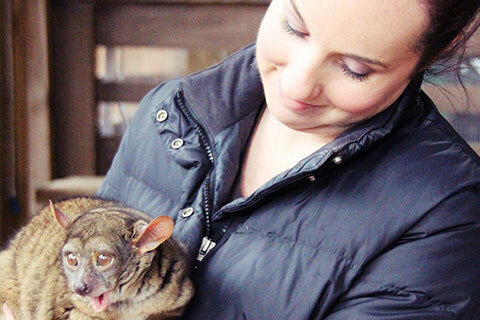 North Georgia Zoo & Farm offers more options than a traditional zoo. Wear comfortable shoes for this walking tour. Bring your camera to snap your close encounters & personal interactions. Reservation required. Reservation must be booked through Xplorie. Noncumulative and nontransferable. Unused admissions expire daily. Must present Xplorie card and photo ID to redeem. Peak season (Memorial Day to Labor Day): Open Tuesday to Sunday. During the offseason, the zoo is open weekends or Saturday only. Tour is guided and includes a wagon ride and petting zoo. You can bring a picnic lunch. Snacks available for purchase. The last tour is at 3 pm.